Fox News host Bret Baier got a response he didn’t seem to expect during the Fox News Town Hall with Bernie Sanders Monday night. When he asked the audience if they’d be willing to forgo private insurance for a “government-run system,” a significant number cheered and clapped their hands. “Now what we’re talking about actually is stability—that when you have a Medicare for All, it is there now, it is there in the future,” Sanders continued. On Wednesday, Sanders released an updated version of his Medicare for All proposals, sponsored by several fellow 2020 candidates, including senators Kamala Harris, Elizabeth Warren and Cory Booker. 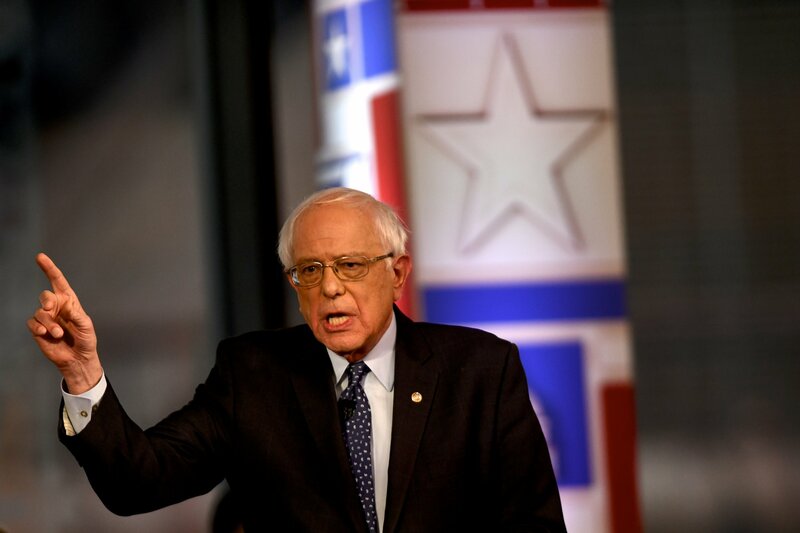 As well as health care, Sanders used the Fox News platform to address some of his best-known talking points: infrastructure, livable wages and a tax system he believes is unfair. “We have an absurd tax system. While millions of people today are paying more in taxes than they anticipated, Amazon, Netflix and dozens of major corporations as a result of Trump’s tax bill paid nothing in federal taxes. I think that’s a disgrace,” he said during a discussion about his own wealth. “I will continue to fight to make our tax system more progressive so that our country has the resources to guarantee the American Dream to all people,” the statement read. At Monday’s town hall, Sanders also warned Democrats not to get bogged down in bashing Trump. “If all we do is focus on him, we lose. Our job is to develop an agenda that speaks to the needs of workers and when we do that we are gonna win,” he told the audience.